There are many scenarios for which a homeowner may need to have his/her belongings stored for an indefinite period. Sometimes a homeowner may need to put items aside when they intend to travel for an extended period of time, or when they are being deployed. They may even decide to place items in storage simply because the décor of their new home does not match their old furnishings. So that you can have greater peace of mind when storing your belongings for the long haul, we advise you to consider the following long term storage tips. Determine how much you will need to store: Storage units come in a wide range of sizes. Also, the size of the unit you will need determines the price you will be paying to store your belongings. Since it makes no sense to purchase space you will not need, you should carefully think about how much space you will need to store your items and add to that a little wiggle room. Talk to our experts at our moving and storage Agoura Hills company to get an evaluation. Clean and prep: Thoroughly wipe down each of your items before storing them making sure to use the appropriate cleaner for each piece e.g., wood cleaner for wood items, glass cleaner for glass items and so on. Keep space around Items: Be sure that when you do pack your belongings to leave enough space between items. Otherwise, you may be creating the conditions for mold, mildew etc, to grow. Use a climate controlled storage unit when necessary: Humidity, moisture, heat, etc., can all cause great damage to stored furnishings. This is particularly the case with items such as electronics or wood furniture. Protect your belongings by making sure that the facility you are considering has climate controls in place. Our movers in Burbank can safely transport your property to our climate controlled facilities. 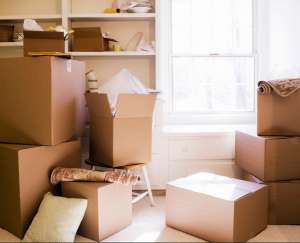 Pack all items carefully: Use the sturdiest boxes you can find to store your items for the long term. For fragile smaller items, be sure to use plenty of bubble-wrap, newspaper, Styrofoam etc., for insulation. Have someone check in on your belongings now and then: For your own peace of mind, you may wish to have a friend or family member “visit” your belongings now and then to check on them. An added advantage to doing this is that your friend will be able to ship or bring a piece to you if you feel you need it. Yes, by following the above tips you can safely store all kinds of household items for long periods of time. We can help you in this as we help many people every day who feel the need to store items with us indefinitely.